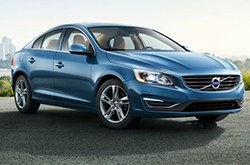 The Volvo S60 receives a complete refresh for 2014 donning all-new features and revised components. The exterior styling was the first to undergo enhancements, which include an all new hood, front fenders, dramatic front headlamps and a larger, LED daytime running lamps, a lower front spoiler and an aggressively designed grille. In an effort to give the sedan a more contemporary theme, its interior received updates, such as new silver and Quartz materials, a new instrument cluster and metal trims. A few new standalone options and package upgrades also infiltrated the latest S60, providing buyers with a fresh and more engaging driving experience. To find out more about the 2014 Volvo S60 in Dallas, read our short review below; then continue down to acquire additional spec information and view photos. Keeping the Volvo S60 elegant and modern, all trim levels received modifications to their interiors for 2014. The T5, T6 and T6-R each don Quartz headliners, new green illumination buttons, updated front door sill plates, metal-trimmed air vents and cloth-covered B-pillars. Individually, they also received brand-new instrument clusters, providing drivers with everything they need to know, while driving around in this high-end vehicle. The base T5 welcomed a new standard instrument cluster, while the T6 and T6-R both inherited digital instrument clusters complete with three unique driver-selectable themes: Elegance, Eco and Performance - noted in various 2014 Volvo S60 reviews. For Dallas shoppers who prefer to have their choice of standalone options, you're in luck! 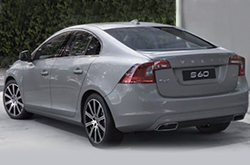 Each S60 trim level now comes with a host of new available features you can obtain package-free. Heated front seats, active dual xenon headlamps and an accessory prep cable are all optional on the T5 and T6, but the latter also makes room for 17-inch alloy wheels and 19-inch Bor diamond-cut alloy wheels with a lower sport chassis. The T6-R features the least options, offering heated front seats and an accessory prep cable as its only available standalones. In addition to these options, new sport and blind spot information system packages are now available on the 2014 Volvo S60 in Dallas, adding more safety features and sports-centered elements. When you compare Volvo's newest S60 model to the 2014 Mercedes-Benz C-Class, Audi A4, Lincoln MKS and the Acura TL, you'll determine that it outshines the competition. The S60's convenient features and bargain sticker price are just a few of the great characteristics that shoppers will appreciate. 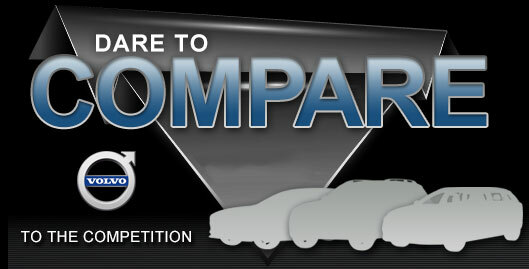 It's a truly outstanding value, which you'll certainly see when comparing its price to the vehicles in its class. 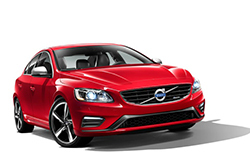 For more details about what it offers, check out the S60's quick-facts list underneath this text. Does the S60 have what you want out of a vehicle? Check out Volvo of Dallas's overview above, as well as other 2014 Volvo reviews to find the perfect model for your budget. With the hard work of some of the most accomplished automotive writers in the business, we've managed to get reviews created for all of our models. Information you can rely on to make good decisions is right here - each overview is stuffed with invaluable information and specs. Learn more about our award-winning series of vehicles; visit the research index to review and compare other models available at Volvo of Dallas now!